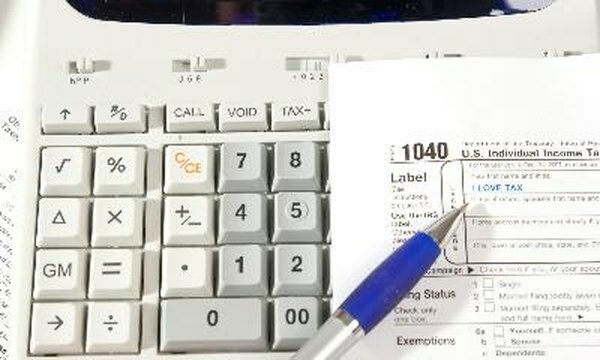 You can deduct contributions to your traditional IRA when you file your federal income tax return. 1. IRA Distribution: Can I Give to a Child While I am Alive? 2. Can I Contribute to Someone Else's IRA? 3. Can I Invest in an IRA for My Child if I Make Too Much Money? The U.S. Congress authorized tax-advantaged individual retirement arrangements to help people save toward their retirement years. One of the most appealing features of an individual retirement account is that all the money in the account belongs to you; you can withdraw it anytime you want and use it for any reason, including giving money to your adult children. How those withdrawals are taxed depends on what kind of IRA you have and how old you are. An individual retirement account is a special type of custodial or trust holding account. You can only fund your IRA with money -- that is, cash or cash equivalents. Once the money is in your IRA, you can use it to invest in such things as stocks, bonds, mutual funds, real estate investment trusts, and bank certificates of deposits. You can't give any portion of your IRA, per se, to another person, regardless of whether that person is a blood relative such as an adult child, but you can withdraw money from your IRA and give it to an adult child. As long as you don't give your child more than the annual exclusion amount, which was $13,000 as of 2012, you won't have to pay gift tax. Your adult child can use the money you give her from your IRA withdrawal to fund her own IRA up to the limits prescribed by law, provided she has earned income for the year that is equal to the amount of your gift. You can't transfer, or roll over, assets from your IRA into an IRA for your child. For example, if your adult child earned $30,000 for the tax year, but spent all of that money for living expenses, you can withdraw $5,000 from your IRA and give it to her. She can open an IRA and contribute the $5,000 you gave her into the account, because she has earned income for the year that is equal to or greater than that amount. You always have the option of designating your adult children as the beneficiaries of your IRA. You can designate different a percentage of ownership for different children, if you wish. Ownership of your IRA will pass to your children upon your death, but they won't have access to the funds prior to that time. Although you can withdraw funds from your IRA at any time, for any reason, there might be tax consequences. If you have a traditional IRA, all withdrawals are taxed as ordinary income, and are subject to an additional 10-percent tax penalty if you are younger than 59 1/2 years. You can withdraw your contributions from a Roth IRA at any time without creating a taxable event, since you have already paid income taxes on those funds, and qualified withdrawals of the earnings are also tax-free. You must have the account for at least five years and be 59 1/2 years old to take qualified withdrawals of the interest portion of your Roth IRA. You'll pay ordinary income taxes and a 10-percent tax penalty on non-qualified withdrawals.